All you need to do your taxes is a little bit of time over one weekend to gather what you need, get organized and file your return. The Social Security number -- or tax ID number, if applicable -- and birthdate for you and everyone in your household. Income information for employees: W2s. Income information for self-employed individuals: W9s, 1099s and Schedule K-1s. Report all income, even if you did not receive a 1099 from a client. Income information from investments: 1099s reflecting interest earned, dividends, retirement funds and son on. Proof of income adjustments: 1098s. Receipts: If you are itemizing, they should be added for health expenses, donations and other key categories. Tip for next tax season: If you had to run around to find these forms and documents or you had to dig through a box of old receipts, now is a good time to create better habits to make tax time less stressful next year. For instance, you can upload your receipts and paper clutter to a cloud-based, accessible-from-anywhere storage system with Shoeboxed. On Saturday, you are ready to fire up tax software or bring your information in to a tax preparer. Which you choose is a matter of personal preference and how complicated your tax situation is. If you do your taxes with the help of a tax software, double- and triple-check all the information you entered. %VIRTUAL-article-sponsoredlinks%The software will do the math, but it can't tell you if you have typos. The added cost of a tax professional may be worth it if you have your own small business, unique tax situation or simply don't feel comfortable handling this information on your own. It's OK to ask for help. Tip for this season: If you make less than $52,000, you could qualify for free tax help at a Volunteer Income Tax Assistant Program near you. Sunday is time to think about your taxes. Take an hour to carefully review your return and check for errors. If a mistake was made, don't panic. Don't cross your fingers and hope the Internal Revenue Service won't notice, either. Erroneous reporting can trigger an audit, which is stressful for most taxpayers. Instead, take pre-emptive action and file a 1040X form to point out the mistake. This will help you avoid penalties, since you reported the error. 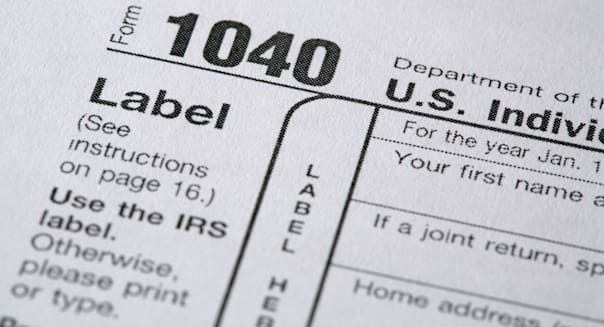 Tax season isn't fun, but this plan will make it go more smoothly. And if you invest extra time, you'll set yourself up for a less stressful and faster experience next year.